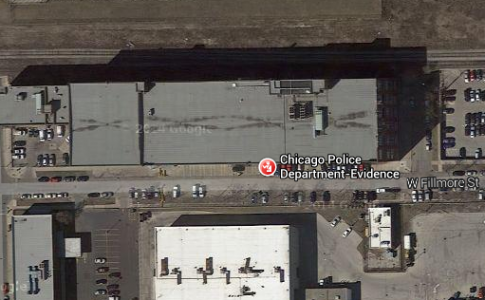 Cop Games, Due Process and the CPD “Black Site.” – Disorderly Conduct. One of my favorite things to do at this job is to show up at police stations. If a client is inside an interrogation room, manages to wade through the coercive Reed Technique garbage and get a call out to me, I’ll drop almost anything I’m doing and try to get there if I can. It hardly every happens, though. Cops play all sorts of games to prevent it- despite what the Constitution says. If I can talk to the cop directly, they’ll do everything they can to interfere. My favorite is when I ask “You’ve arrested Bob Innocent, my client…” to which the response is always, “No, sir, Mr. Innocent has not been arrested“, Because, as you know, even though a man is handcuffed and locked in a police interrogation room, he might be arrested to you or me, but that’s not “arrested” to the cops. So, you have to say “detained”. That’s the magic cop word that means “arrested” to everybody else. If you don’t use their magic words, they play dumb. And we go on and on and on, and round and round and around (during which time I’m usually faxing them a demand to stop talking to my client while we speak, then documenting it with notes of the call in my file). Never wanted to talk to anybody as bad as I want to talk to you. The constitution, or at least the theoretical version we’re taught about, tells us that people in custody have the right to counsel from an attorney. It seems simple and easy enough: client asks for an attorney, or an attorney shows up for a client, and they get to talk. Cops- especially those in “Investigations” do everything they can to make that process long, painful and difficult, though. They play games on the phone. They hide behind locked doors on off-hours. They don’t have time for that pesky constitution. America wins the race to treat Americans poorly. Subsequent Supreme Court decisions have, unsurprisingly, explained to me that “persons” aren’t really “persons” unless they’re American “persons” or on American soil. With respect to all of those “other” persons, I guess, we don’t don’t believe in due process as being important to justice, truth and similar such pesky ideas. My fear at the time was that some other foreign country would start snatching large numbers of U.S. citizens off of foreign soil, subject them to some sham process, call them terrorists- and our hypocritical selves couldn’t really complain. This Guardian post, however, shows me just how wrong those thoughts were. Foreign countries don’t need to scoop up Americans and cut off their Due Process rights, because we’re already doing it with our own people here. Wrongfully arrested? Want to talk to your lawyer? Want to find your Mom who has been taken away by the cops? Good luck with that. Good luck with your Due Process, America. Previous Previous post: Here’s Your Zero Tolerance on DUI: The Zamboni Guy Is In Jail. Happy now? Next Next post: Setting Every Damn Case For Trial: The beginning of the end of my “reign of pain” as a public defender.